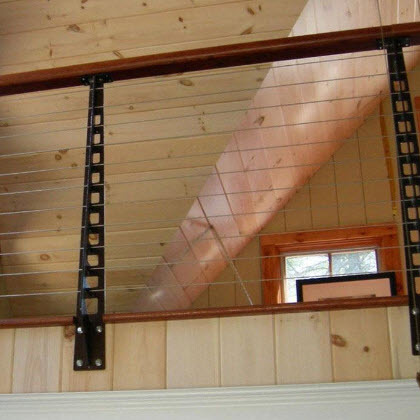 Material and Finish: "Copper Vein" powder-coated steel posts with wood top rail. 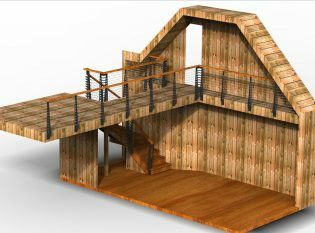 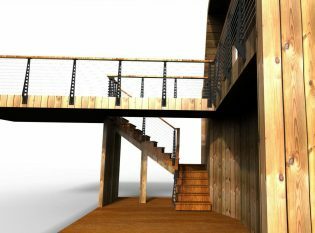 Description: Chicago Style cable railing and stairs. For our client in New York City, we designed and fabricated a railing system with an industrial look. 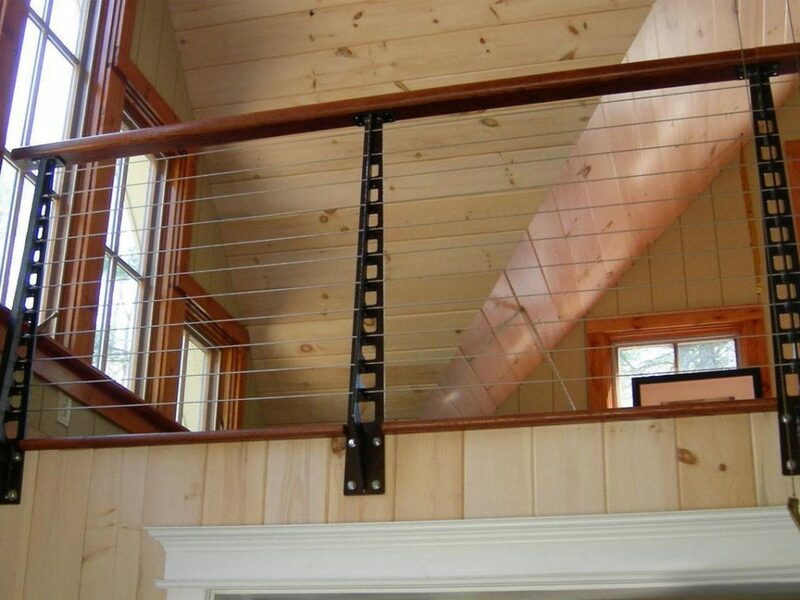 We used “Copper Vein” powder-coated steel for the posts and wood for the top rail. 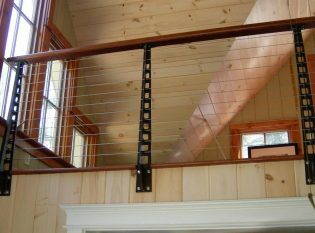 The Chicago Style cable railing runs along the balcony and staircase.